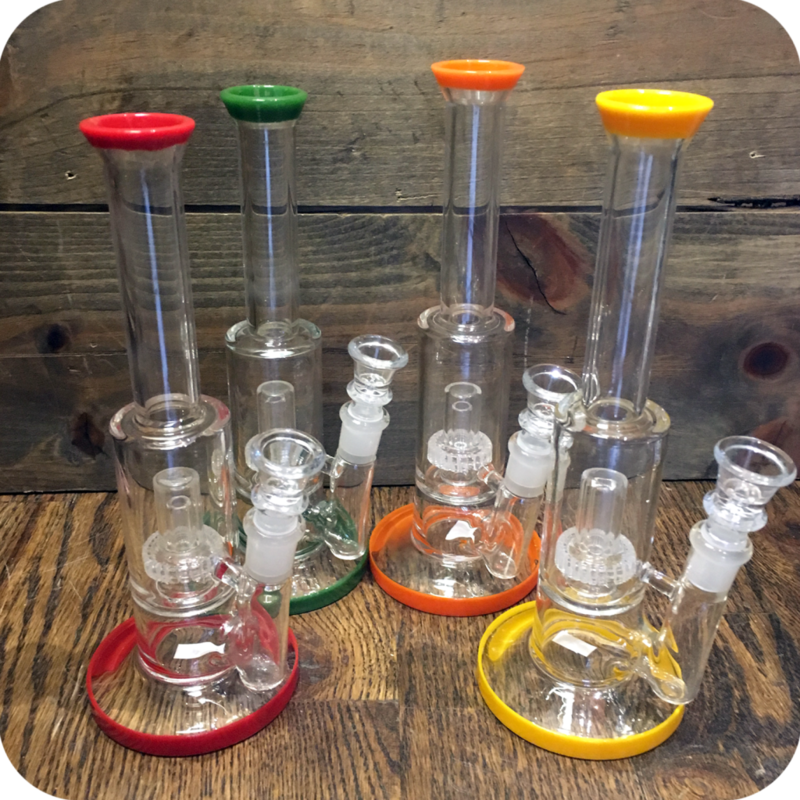 These color tipped water pipes with dome percolators are the cream of the crop affordable water pipes for any smoker! It stands at about nine inches tall, and packs a very mean punch! This pipe features a dome percolator for extra filtration. The dome percolator is more commonly known as a shower head. 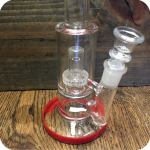 These shower head percolators do an amazing job of filtering out toxins in the smoke before it reaches your lips. As you inhale, the smoke is first pulled through the water. This cools the smoke making it easier and smoother to inhale while still giving you a powerful hit! 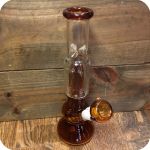 This pipe could last you a lifetime with the right amount of care and love! 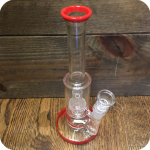 Grab some Formula 420 Cleaner while your here and keep this pipe shiny and new. 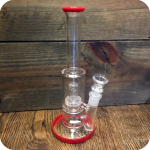 Formula 420 is a well trusted cleaning solution for all things glass pipes. It is trusted by smokers all over the world. While your here, grab some I-Tal Hempwick. Hempwick is an all natural, healthy alternative to lightly up directly with a butane lighter. When you light up with a butane lighter you are inhaling potentially harmful toxins. Hempwick is a way to bypass those toxins and enjoy a better tasting light. Finally, do not forget to swing by any one of our three Brooklyn store locations! 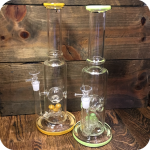 Tags: Brooklyn, brooklyn glass, brooklyn smoke shop, color tipped water pipe, color tipped water pipe with dome percolators, dome percolator, glass water pipe, Sunflower Glass Co, Sunflower Glass Company, water pipe.